Love, Mrs. Mommy: ABC Questions Takes Learning the Alphabet to Imaginative Heights! ABC Questions Takes Learning the Alphabet to Imaginative Heights! I received a copy of ABC Questions at no cost to facilitate this review. All opinions are my own. Reading to our little ones is important. Not only does it help to nurture their desire to learn, but it’s also such a wonderful bonding moment between parent and child. I love reading to my daughter and seeing how intent she is on understanding what is going on in the book. That’s why I am excited to partner with author Christine Cruz and tell you all about her brand new book called, ABC Questions. Christine wrote this book as a fun way to teach her youngest child the ABC’s. She wanted something that would keep his interest and this fun and silly book did just that! 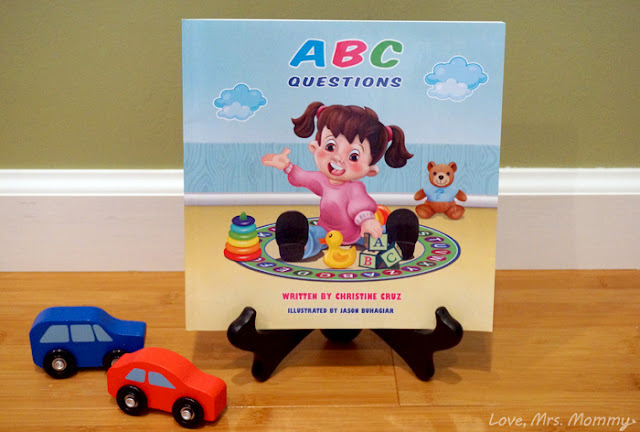 ABC Questions is Christine Cruz’s second book and it’s perfect for ages 3-6. ABC Questions is a book about a 4 year old girl named Beverly who is starting her first year of school. 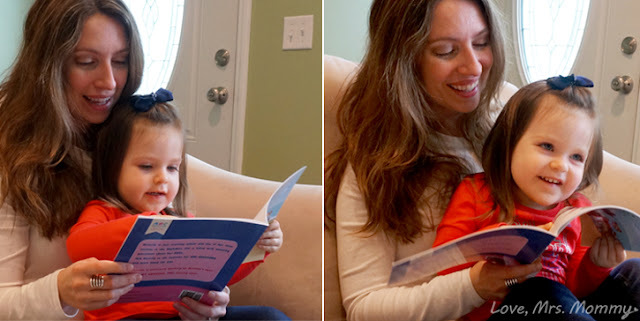 One of her first lessons is the alphabet and she has a lot of fun and creative questions that will allow your child(ren) to be interactive with the book. Instead of the traditional A is for Apple and B is for Ball type of learning, this book takes the alphabet in a more imaginative direction. Beverly asks questions that showcase the letters of the alphabet while putting characters in silly situations. 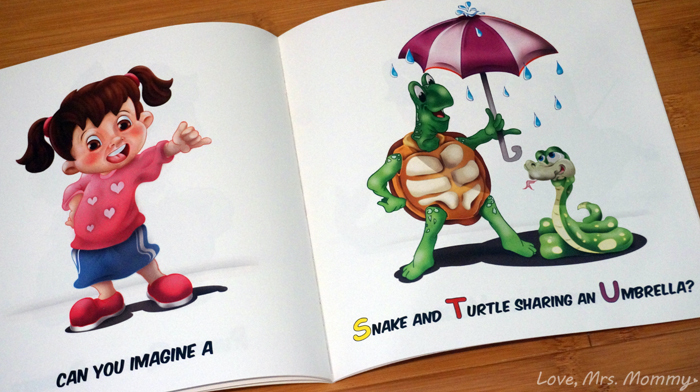 An example would be “Can you image a Snake and Turtle sharing an Umbrella?” The story follows the alphabet, in the correct sequence, and each new letter is highlighted by larger case, colored in letters. 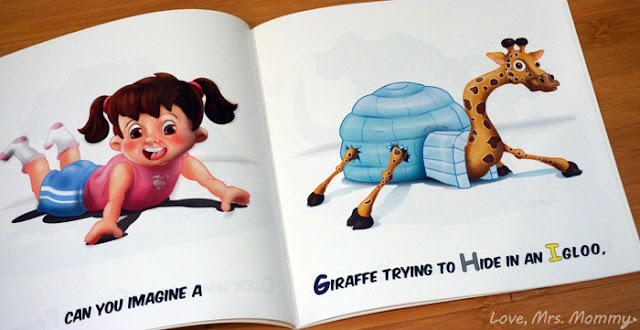 With all the fun questions and creative pictures, such as a giraffe trying to hide in an igloo, your child(ren) won’t be the only one(s) giggling! My daughter loves her new book and all the silly illustrations. She enjoys pointing out all the different animals and likes telling me what is happening on each page. This book is a great way to learn and spark your child(ren)’s curiosity! Connect: Find out more about ABC Questions by visiting the author’s website. Then make sure to “like” her on Facebook. Buy It: You can purchase a Kindle edition of the book here, or head on over to her website to purchase a paperback copy. What a lovely children's book! How fun and silly!! Way more fun than the traditional A is for apple type stories! Always a plus to make learning fun for the child! Learning is both functional and essential. To be added into a book is awesome, and this is cute and fun. Cute book. My niece would love this. I love interactive books too. Books that get kids involved. The illustrations in this one are bright and nice to look at. This looks like a great book--anything that gets kids interested in books is a good thing. I think little kids would think this book is funny. My niece loves books, this would be a cute book for her! May have to get it for her for Christmas. Not only an educational book, but an entertaining one as well. Kids love to look at beautiful pictures. What a great sounding story book, I would love to read it to my three year old grandson some night. That is a nice and unique take on an ABC book and the illustrations are adorable. This is a great book for learning. My great grand daughter is starting pre-school next year and this would help her learn. What a cute book, my son would love it! What a cute book, my granddaughters would love this. What an adorable book! I love the twist on teaching your toddler their ABCs! :) Thanks for sharing!